New details have emerged on the largely unknown operations of a recently-captured Ecuadorean drug trafficker, shedding light on the crucial, and often overlooked, role that Ecuador plays in the international drug trade. 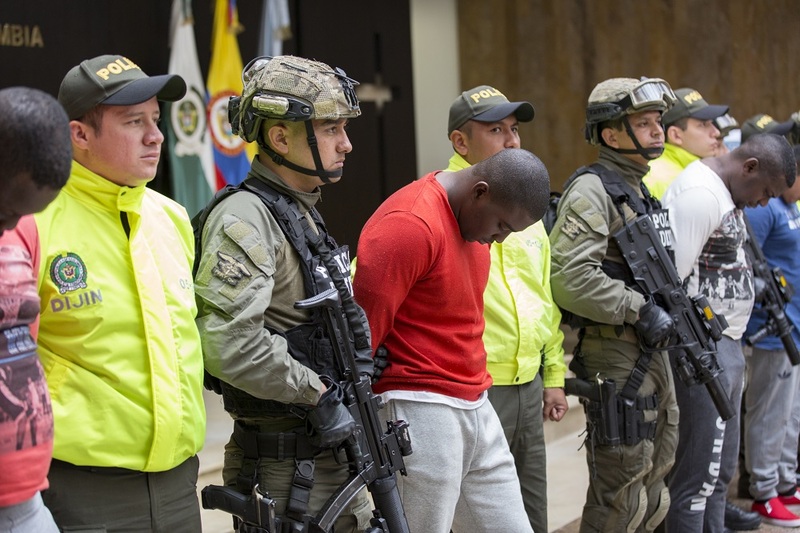 On April 11, Colombian authorities arrested Washington Prado Álava, alias “Gerard” or “Gerald,” an Ecuadorean citizen accused of leading a drug trafficking organization in the departments of Nariño and Valle del Cauca along Colombia’s Pacific Coast. Quickly thereafter, Prado was dubbed the ‘Pablo Escobar’ of Ecuador as police reports stated his criminal group was allegedly responsible for smuggling 250 metric tons of cocaine into Central America and the United States. According to police and reports from Semana, Prado got his start with Colombia’s Rastrojos criminal group in 2004 after establishing himself as a master boatman who was able to navigate the difficult waters of the Pacific Ocean off the coast of Ecuador’s port city of Manta. Prado would arrive in Tumaco and other areas of Colombia’s Nariño department to move drug shipments to Costa Rica, Guatemala, Mexico and Panama. He earned $50,000 for every drug shipment he brought, according to new information from the Colombian authorities. Six years later in 2010, most of the Rastrojos criminal structure had been captured and some also extradited to the United States. After all those years working them, Prado had learned most of the tricks of the drug trafficking trade. According to Semana, Prado knew where the drug crops were and who owned them, who owned the laboratories and who sold the drugs in western Colombia. He was also acquainted with many of the buyers and bosses in Central America and Mexico. As each stage of the drug trade—cultivation, processing and distribution—fragmented, Prado took control of each segment. From there, El Universo reported that Prado became involved with a group of dedicated assassins operating in Ecuador’s Manabí, Guayas and Esmeraldas provinces. According to local investigators, the group was made up of several of Prado’s relatives and maintained relations with the Los Choneros criminal group, who Ecuador’s government has described as the country’s “worst organized crime gang” of the past 20 years. Prado’s network of hitmen had two main objectives. The first was to control the passage of drugs along the coasts of Manabí and Guayas, while in Esmeraldas it was to provide security for drug shipments arriving from the municipality of Tumaco in Colombia’s Nariño department. From Tumaco, as InSight Crime previously reported, Prado’s network would send up to 10 speedboats a week that contained between “800 kilos and a metric ton of cocaine each.” Furthermore, Semana reported that Prado would occasionally provide transportation for other drug trafficking groups where he would charge $2,000 for every kilo he took to Costa Rica or Guatemala. It wasn’t long before Prado had established control along the coast of Nariño that made him a very rich and powerful man. In Ecuador’s port city of Guayaquil, Prado bought several luxury properties for himself and his family. And in Tumaco, Semana reported that he pretended to be a “prosperous fishing entrepreneur” and was escorted around in luxurious armored trucks. However, this soon caught the attention of local authorities in Ecuador. On at least three occasions, according to Semana, Prado was arrested but quickly released after spending little or no time in jail because he was able to obtain the best lawyers or managed to threaten police, prosecutors and judges enough to be released. Eventually, Prado surfaced on the radar of the U.S. Drug Enforcement Administration, who then alerted Colombia’s police intelligence unit, DIJIN. Over the past two years, Colombian authorities said they were able to seize 150 metric tons of cocaine linked to Prado and detain nearly 100 members of his criminal network. Leading up to his capture, Colombian and Ecuadorean authorities collaborated to monitor his movements in Ecuador. While Ecuador has a policy not to extradite its citizens to the United States, according to Semana, the objective of the authorities was to capture Prado in Colombia where he could face extradition to the United States. With the help of Ecuadorean authorities, Colombia’s DIJIN sent an “attractive” undercover officer into Ecuador who began to frequent the places that Prado went. After several months, Semana reported the undercover agent and Prado had formed a relationship. The undercover agent then told Prado that she had to return to Cali for a family affair during Holy Week, and that Prado should come visit. According to the reports, Prado agreed, and illegally entered into Colombia through Ipiales. As Prado made his way through Colombia in an armored van, the undercover agent notified Colombian authorities where the two of them were to meet. Authorities then set up a police checkpoint and Prado was subsequently arrested. Among other things, Prado faces charges of human trafficking, drug trafficking, murder and attempted murder. Prado’s arrest and the details of his operation highlight how greatly overlooked Ecuadoreans are in the cocaine trade. For starters, the 250 metric tons of cocaine that Prado’s group allegedly trafficked in the roughly four years that they operated is astonishing. As InSight Crime previously reported, this is more than a fifth of the 1,135.2 metric tons of cocaine that Colombian authorities have seized over the past four years, according to the International Narcotics Control Strategy Reports. Furthermore, following Prado’s capture, police in Ecuador carried out 20 raids that resulted in the arrests of 11 people, among those a police captain who was a “key piece” in Prado’s organization. They also seized $12 million in cash. Ecuador’s growing role in the international drug trade should not come as a surprise. 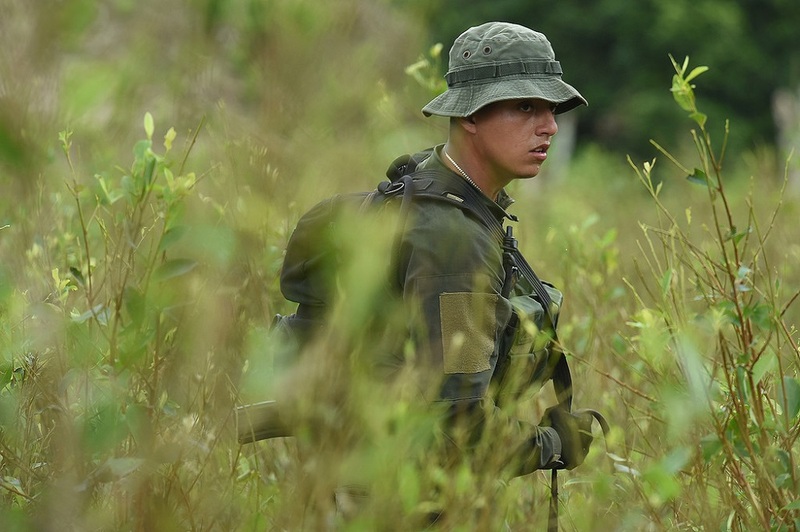 The nation is strategically located between two of the world’s largest cocaine producing countries: Colombia to the north, and Peru to the south. Cocaine production in Colombia is booming. According to estimates in March from the White House Office of National Drug Control Policy, Colombia produced 188,000 hectares of coca crops in 2016. This was almost 20 percent higher than in 2015, and about 80 percent higher than the average annual estimate between 2008 and 2015. Also in March, the president of Peru’s anti-drug agency stated that the Andean country currently has an estimated 55,000 hectares of coca crops primarily used for cocaine production. This surpassed the latest UN and US estimates for 2015. The 2016 World Drug Report from the United Nations Office on Drugs and Crime states that Colombia and Peru continue to be the main countries of origin for cocaine shipments, and given the situation surrounding Ecuador, InSight Crime believes that Prado is not an isolated example. With so much product, it’s inevitable that big time players from Ecuador will continue to surface.